KILKENNY HAS BEEN named Ireland’s most litter-free town for 2012, taking the title from 2011 champion Trim. The title follows a year-long audit of 44 towns and urban areas around the country, grading each based on the condition of its urban areas and the quantity of litter there. The following is the final ranking for 2012. How did your town do? 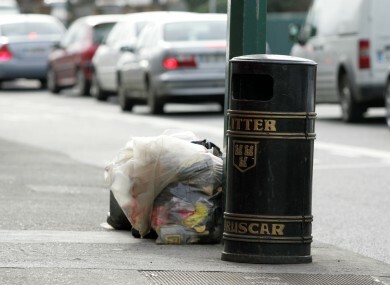 Poll: Will litter blackspots affect The Gathering? Email “IBAL Litter League 2012: Where did your town finish?”. Feedback on “IBAL Litter League 2012: Where did your town finish?”.